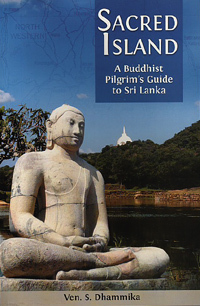 A travel and pilgrimage guide meant for Buddhists or those interested in the Buddha's teachings who wish to explore Sri Lanka's rich cultural and spiritual heritage. Drawing on his extensive knowledge of the Island, the author weaves together archaeological findings, art history and the stories and legends of the Buddhist tradition to bring to life 33 places of religious significance. He offers practical advice on how to travel in Sri Lanka and what the visitor can do to learn more about Buddhism and meditation. Includes detailed maps, illustrations and colored photographs of the sacred sites, of interest to general readers as well as pilgrims.